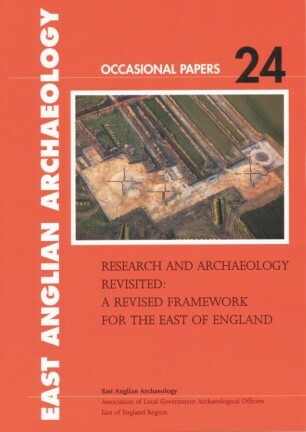 This review of Research and Archaeology augments the regional research framework, published as a Resource Assessment (Glazebrook ed. 1997) and a Research Agenda and Strategy (Brown and Glazebrook eds 2000). The review considers the new evidence on a period-by-period basis, subdivided within in each period into an assessment of key projects undertaken since 2000, an assessment of progress on research topics proposed in 2000 and a consideration of future research topics. The eastern counties framework was never intended to be a fixed point but rather a dynamic process through which the region’s archaeology can be influenced, and subject to periodic review and revision. 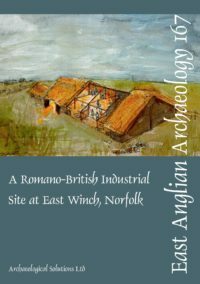 It will be kept live and updated and augmented by the historic environment community of the East of England as new discoveries are made and new research priorities established.